Chatsworth Station 10046 Old Depot Plaza Rd • Chatsworth, CA 91311 • (800) 371-5465 • The Chatsworth Amtrak/Metrolink Station, sometimes referred to as the Chatsworth Transportation Center, is an Amtrak and Metrolink rail station in the Los Angeles community of Chatsworth, California, USA. It is served by both Amtrak's Pacific Surfliner from San Luis Obispo to San Diego and Metrolink's Ventura County Line from Los Angeles Union Station to Montalvo. 10 Pacific Surfliner trains serve the station daily and 20 Metrolink trains serve the station each weekday.The station includes a passenger waiting area and a small railroad museum. There is no Amtrak ticket office.Also in the station building is the field office for Los Angeles City Council member Greig Smith. 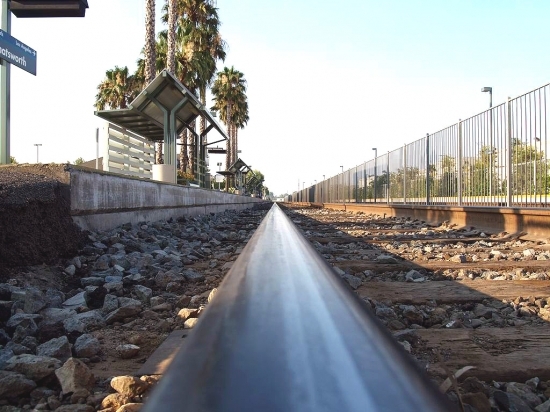 Description: This station is served by Metrolink's Ventura County line and Amtrak's Pacific Surfliner. Sometime in the future, Metro may extend the Orange Line up the railroad right of way along Canoga Avenue to here. But until then, the Metro bus service is pretty sparse here. There are several lines, but service is mostly hourly. Connections: Metro Local lines 158, 166/364, 167, 168, 244 and 245; LADOT DASH Northridge Commuter and Commuter Express Line 419; and Simi Valley Transit Line C.